BANGALORE: It was a sedate village on the outskirts of Bangalore. 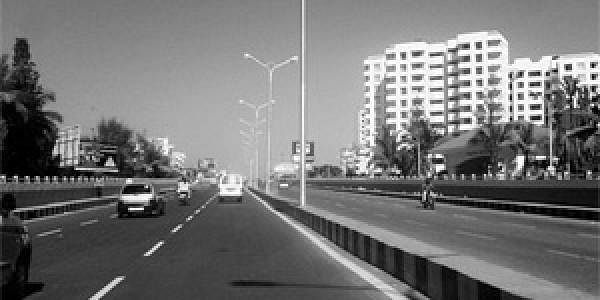 But when the Outer Ring Road happened, Marathahalli was shaken out of its peaceful sluggish existence into a world where traffic jams and mall culture are the only way forward. Of course, this was during the time that the entire city was witnessing a change called IT. When IT happened, the Outer Ring Road came up and then came the big glass enclosures which became the workplaces for the exodus from outside the state. Gautam Sahu, an employee with a software giant on Belandur Road, came down from Mumbai and found a place to stay at Marathahalli. “For a long time, I thought this was what Bangalore was all about — terrible traffic deadlocks. Even now, the only thing I like about Marathahalli are the shopping complexes,” he says. These shopping complexes that Gautam is talking about are the ones most of Bangalore flocks to on weekends for great deals, because it is the Brand Factories (read factory outlets) of the world offering Lee, Woodlands, Fila, Proline and anything else you could think of, at discounted rates. Shoppers here, however, would have to struggle to find parking and on bad days may even take hours just to get to the stores they want to. So after a hectic day of shopping here if you do wish to catch a film, you will be able to watch a film in the very first multiplex of Bangalore — Innovative Multiplex. And if you do happen to stroll around in Marathahalli even after the shopping spree and venture into the residential areas, you will see what premature urbanisation can do to places. “Rents in the area are just beyond reasonable. I was told that people in the IT sector are ready to pay what is asked of them and so the rents have gone up,” Gautam says. And apart from the money you have to shell out, you may have a bumpy ride to the place called home. Apartments and housing complexes are mushrooming here before infrastructure, primarily roads, can catch up. The rural essence lives on in the mud roads. “It is ironical. I watch as a modern concrete hub comes up all around while stretches of dusty roads lie ahead. It is tiring to negotiate them on my bike,” says Raj Sudarshan, a resident of Marathahalli for the last five years.